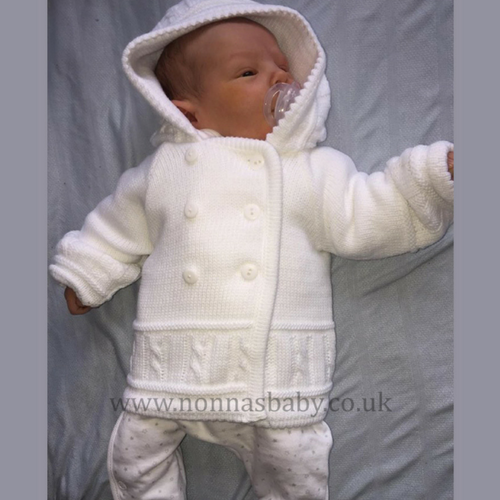 Beautiful super quality double-breasted and double knitted Pram Coats with hood. Your baby will be smartly dressed, comfy and warm with these gorgeous Pram Coats. Customers love these pram coats. 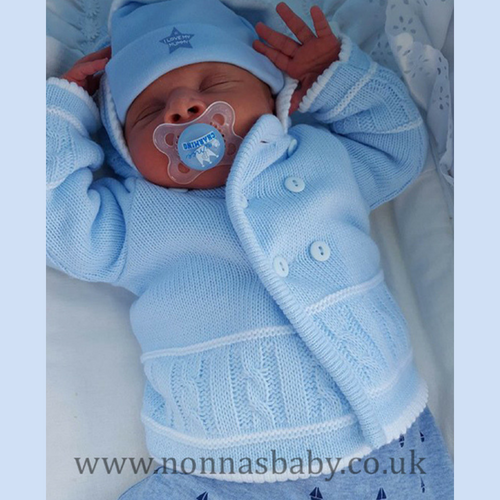 They are such good quality and value, and babies look adorable in them. 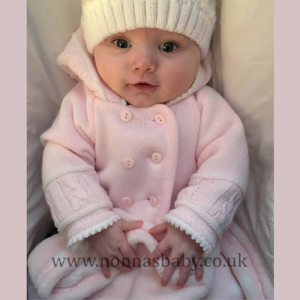 Frequently customers who purchase then return to purchase the next size up as their baby grows.